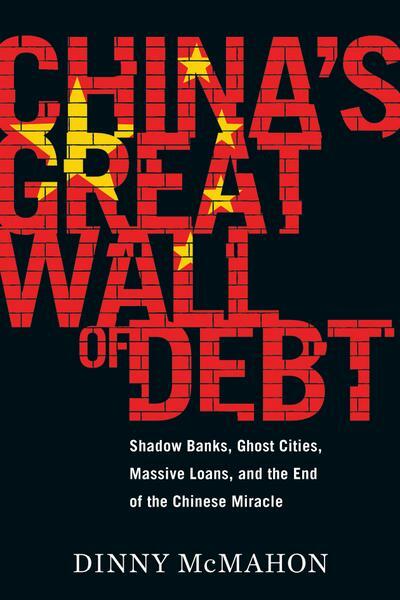 byte.to Chinas Great Wall of Debt Shadow Banks Ghost Cities Massive Loans and the End of the Chinese Miracle - Filme, Spiele, Musik, Bücher und mehr kostenlos downloaden. Dinny McMahon, "Chinas Great Wall of Debt: Shadow Banks, Ghost Cities, Massive Loans and the End of the Chinese Miracle"
The world has long considered China a juggernaut of economic strength, but since the global financial crisis, the countrys economy has ballooned in size, complexity, and risk. Once dominated by four state-owned banks, the nations financial system is a tangle of shadow banking entities, informal financial institutions, and complex corporate funding arrangements that threaten growth, stability, and reform efforts. The country has accumulated so much debt so quickly that economists increasingly predict a financial crisis that could make Brexit or Greeces economic ruin seem minor, and could undermine Chinas ascent as a superpower. Earlier this year, President Xi Jinping issued an urgent call for reform that gives the country until 2020 to transform its economy - a vaguely-defined objective that most economists agree is unrealistic. Whether or not China will be responsible for the next global recession, as some experts forecast, the fate of its economy will have far-reaching consequences for the rest of the world. Yet the inner workings of Chinas financial system are still very much a mystery to most outsiders. Now more than ever, as the countrys slowing economy is being felt around the globe, it is essential to understand how China allowed its economy to become so mired in debt. 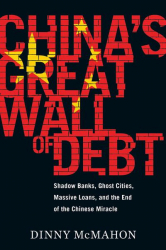 Chinas Great Wall of Debt is a penetrating examination of the countrys opaque financial system and the complex factors - demographic shifts urbanization industrialization a pervasive over-reliance on debt-fueled investments - that have brought the country to the brink of crisis. Anchored by stories of Chinas cities and its people from factory workers and displaced farmers to government officials and entrepreneurs, the narrative will take readers inside the countrys ghost cities, zombie companies, start-ups, and regulatory institutions as McMahon explains how things got so bad, why fixing the problems is so hard, and what the economic outlook means for China and for the rest of us.